Back with the Disco Heat! 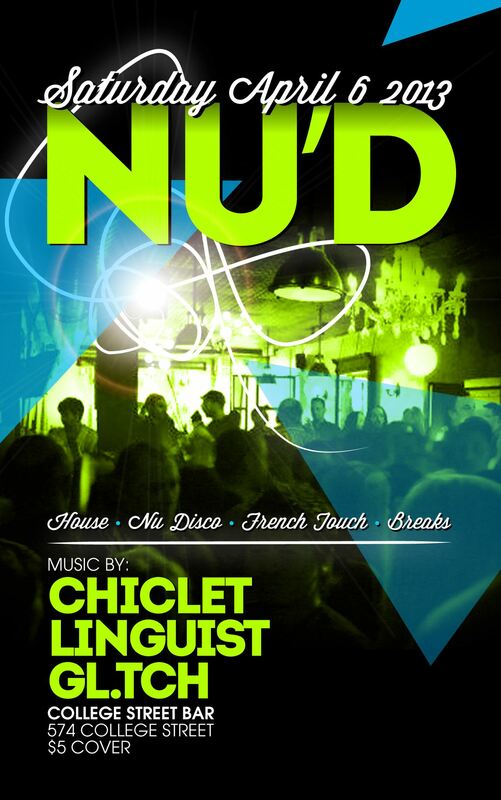 Nu’D at College St. Bar – Saturday, Apr. 6 2013 | Hot Jambalaya! A heads-up and a reminder to swing by College Street Bar this upcoming Saturday, April 6, 2013 for the latest installment of Nu’D! Chiclet, Linguist and I will be jockin’ the best in Disco, Nu-Disco, House, French Touch and Breaks at one of downtown Toronto’s friendliest and funnest resto-lounges. The weather is expected to be spring-like (for a change!) and the floor will be jumpin’! Expect great vibes – See ya there!